ESO Supernova Exhibition — How do black holes power quasars? 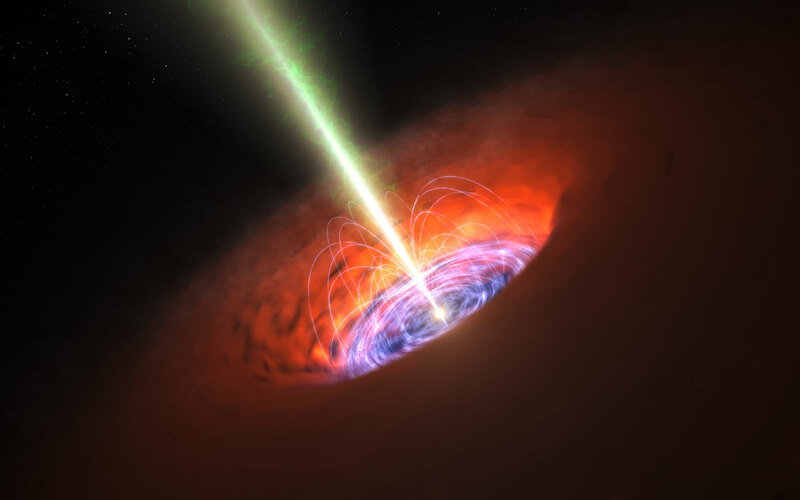 How do black holes power quasars? 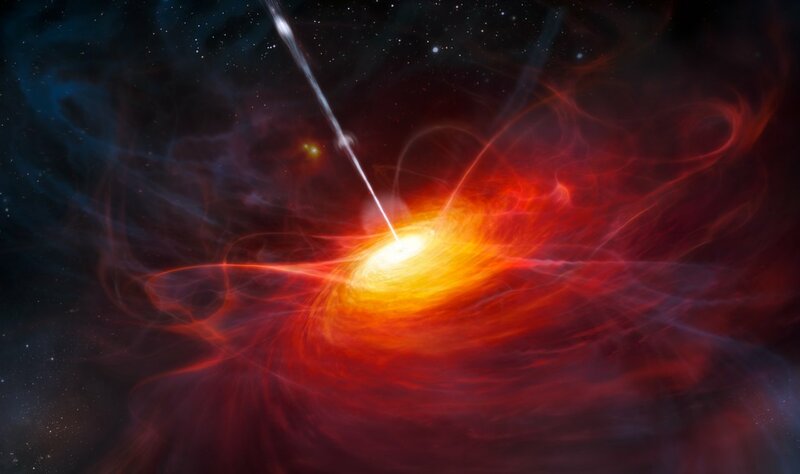 Quasars are the ultra-bright cores of distant active galaxies. Gluttonous supermassive black holes spew out energetic jets of particles and radiation, visible over billions of light-years. 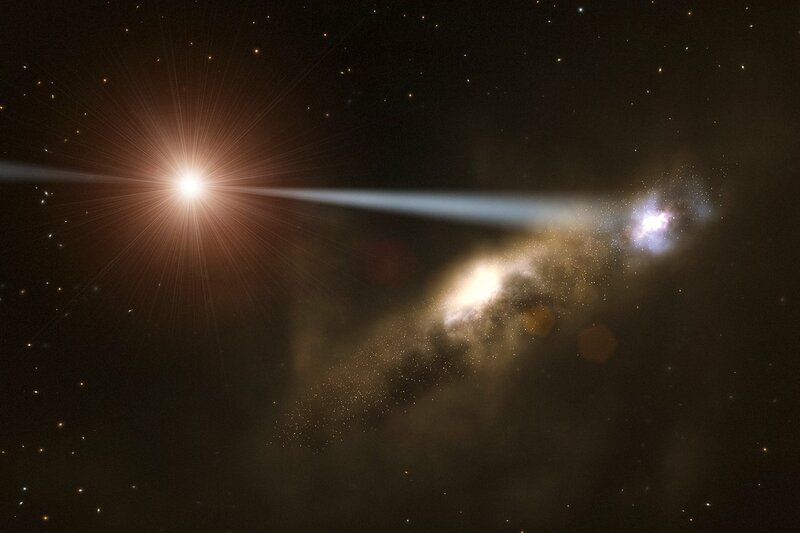 Fast and furious: A powerful jet emerges from the energetic core of a galaxy in this artist’s impression of ULAS J1120+0641, one of the most distant quasars known. 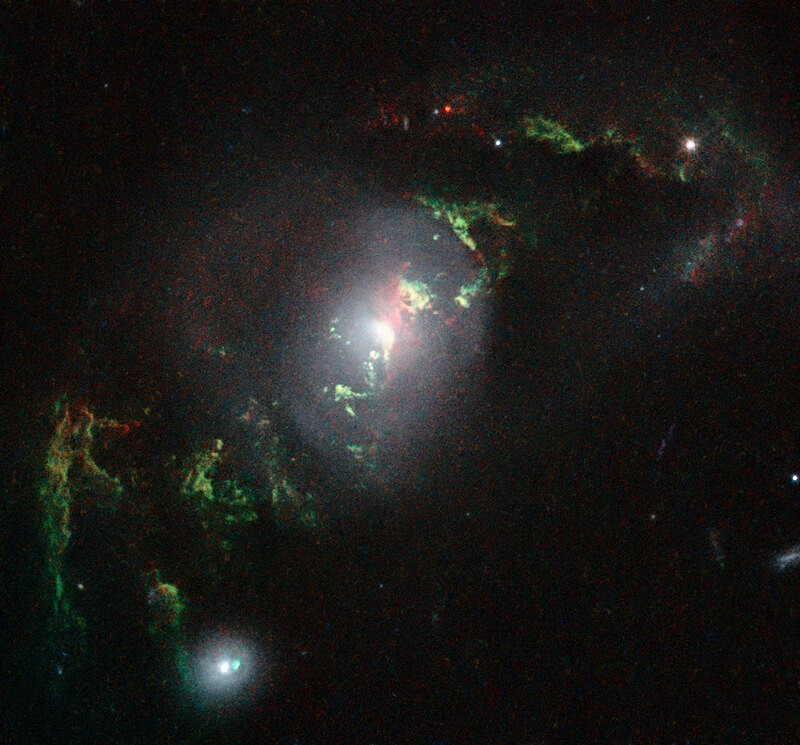 Green afterglow: Filaments of gas fluoresce green after being illuminated by a blast of radiation from the quasar core of this remote active galaxy. 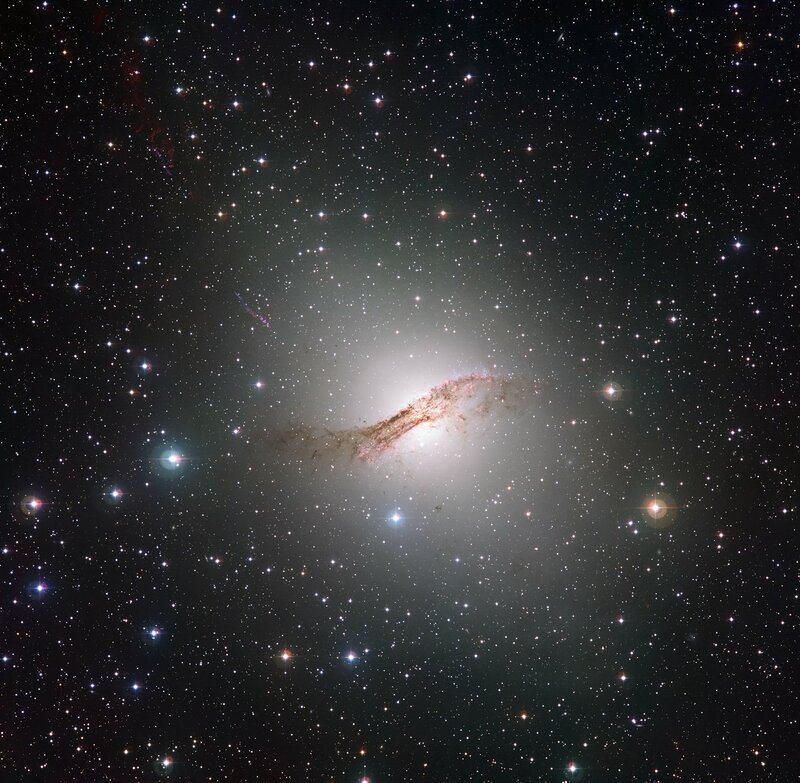 Nearby monster: At a distance of just 13 million light-years, Centaurus A is the nearest active galaxy to us. Quasi-stellar radio sources, or quasars for short, are the ultra-luminous cores of very distant galaxies, blowing opposing jets of charged particles and energetic radiation into space. They are powered by supermassive black holes, weighing in at billions of solar masses. Gas falling into the black hole accumulates in a bright, whirling accretion disc; the jets are probably produced by strong magnetic fields. Quasars are most conspicuous when one of the jets is more or less aimed at the observer. Seen edge-on, their energetic radiation can be obscured by thick clouds of surrounding dust. Trick or treat: The energetic jet of a quasar can induce the formation of new stars in a nearby galaxy. Strangely enough, it can also quench star formation in its own host galaxy (artist’s impression). Dusty doughnut: The bright heart of a quasar can be obscured by a thick region of dust surrounding it. Black holes don't emit light. But gas in the neighbourhood of a giant black hole can glow blindingly bright. 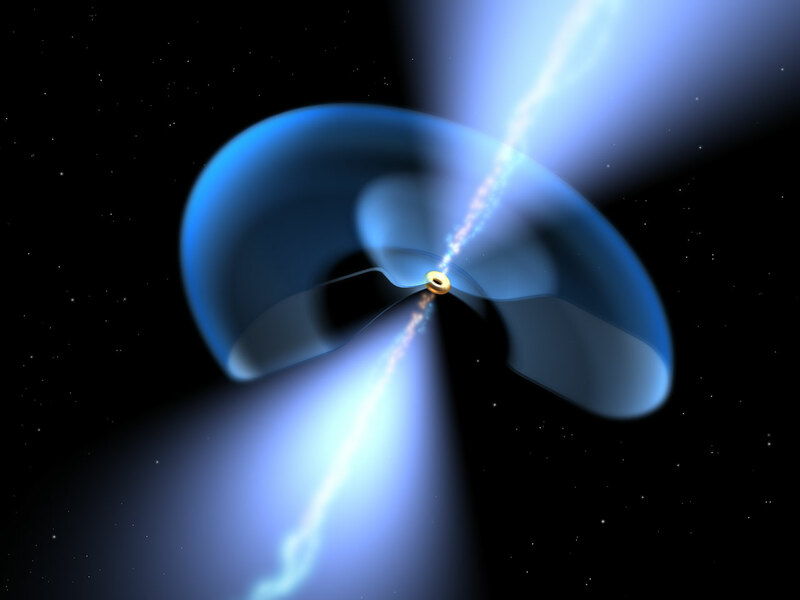 The result: a quasar — the bright core of a very distant galaxy.